in my image you will see words and guns because my project is about police brutality. you will see two guns. you see the background is black because this is a dark time for our society. I have seen on the news last year that they shot Laqaun McDonald 17 times but for what so that is what inspired me to do a project on police brutality. 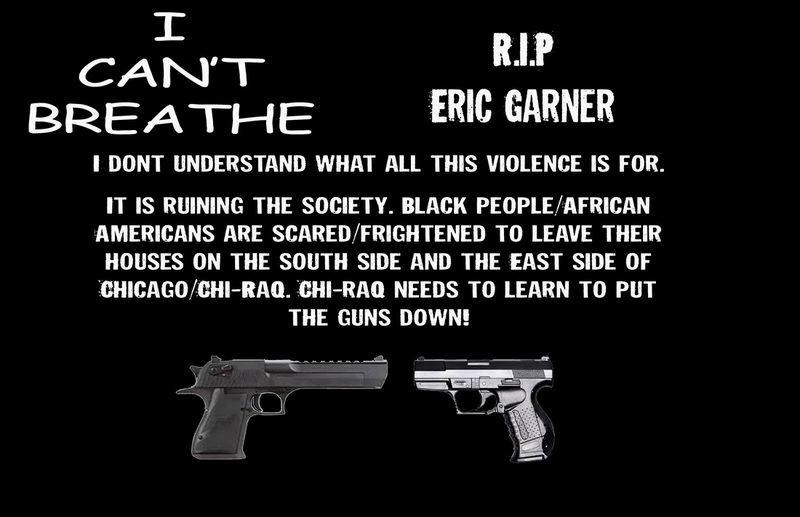 My message to the police in Chicago is to stop the violence when they are trying to arrest black/ african americans they use unnecessary strategies like brutalizing them and killing black people. media arts reflection: MY FAVORITE THING IN MEDIA ARTS was the Minecraft project media arts was probably the funnest class ever.